August 1985 Watford’s John Barnes, wearing the tightest of tight shorts, leaves a Spurs defender (any idea who it is? 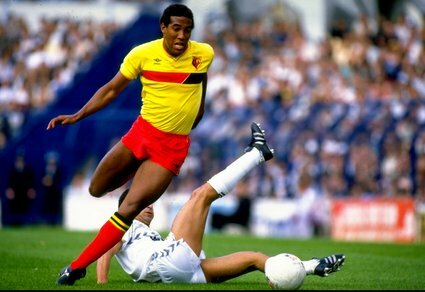 I guess Gary Stevens) for dead during a Division One match at White Hart Lane. Tottenham Hotspur won the match 4-0.